This study explores the perceptions of undergraduate students and their teachers towards the current and future role of learning with technologies in university education in China. Data from a survey completed by 1,740 undergraduate students from 12 universities and colleges throughout a rural province in north-eastern China was supplemented by an analysis of student response to learning with technology in Chinese classroom contexts using visual ethnography. The analysis of the data indicated that the use of technologies in the undergraduate classrooms in this study has had little effect on the way the university lecturers teach, but that their undergraduate students made extensive use of mobile technologies for interpersonal communication and learning outside the classroom, albeit not necessarily in relation to their formal education. These changes raise questions about the key role of socio-cultural expectations regarding effective education in determining the uptake of learning with technologies. In the last decade the Internet has become a popular channel of communication in China, second only to the use of mobile telephones. Internet access has increased exponentially from 23 million connections in 2000 to 384 million connections in 2009, with higher saturation in cities than in rural areas (Liang & Wei, 2002). As a percentage of China’s population this represents an increase from 1.7 percent of the population in 2000 to 28.9 percent of the population in 2010 (Internetworldstats, 2010). Despite this increase, access to the Internet is not as widespread in China as it is in most Western countries, although the aim is to provide every educational institution with Internet access. The demographic distribution of Internet use is not spread equally among the Chinese population. As in other countries in Asia, the more affluent Chinese people living in urban areas have greater access to the Internet and other technologies than those in rural and remote areas (Dhanarajan, 2009). A recent survey of Internet users in China found that the highest proportion were young (37% between 18-24 years), single (59%), male (59.6%), students (33.2%), or ‘white collar’ professionals (44.8%) (China Internet Network Information Centre, 2005). This distribution and the fact that Internet users in China spend about one billion hours per day online (Boston Consulting Group, 2010) has attracted the attention of Western providers of e-commerce and elearning, who see the increasing Internet usage in China as the beginning of a huge financial boom. However, the Chinese government maintains a strong degree of control over information available in the Chinese mass media, including the Internet, limiting the resources available for education to those authorized for use by the Chinese government (Kalathil & Boas, 2001). In terms of using technologies for learning, developments in China are relatively recent and have not been rapid. This is partly because of a strong tradition of teacher-centered, textbook based, teaching and learning (Biggs, 1996; Bond & Whang, 1996; Campbell, 2006; Chan, 1999; Nield, 2004; Niles, 1995; Tweed & Lehman, 2002). 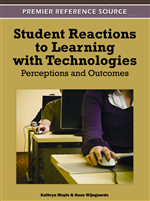 As other researchers have acknowledged, to effectively participate in technology-enhanced learning presupposes that learners are receptive to learning situations that require a high degree of student initiative, self-directed learning and independence. The Chinese education system is exam driven, teacher-centered and, as many researchers have pointed out, still based on Confucian values (Ballard and Clanchy 1997; Cooper, 2004; Pyvis and Chapman 2004; Radford, Mann, Ohta & Nakane, 1993; Triandis 1995; Tweed and Lehman 2002).